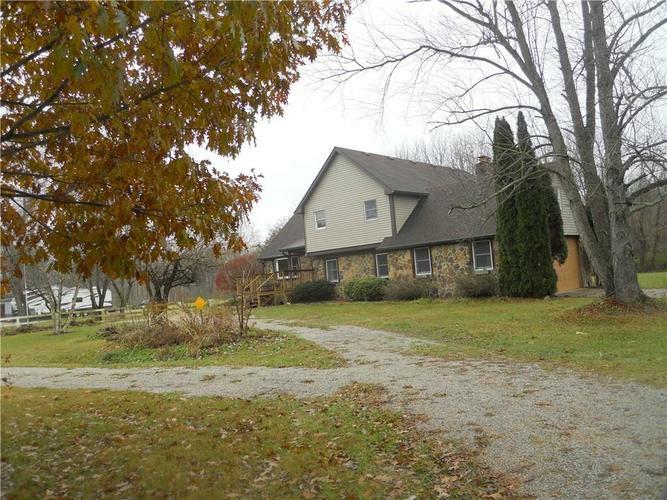 Hard to find 5 Bedroom home with 3.5 baths. Features a living room as you enter, a formal dining room, eat-in kitchen, family room, 3-Season room (8x22), and a basement with loads of workshop, play or crafting space. Finish it off however you like. MBR has huge bath with 2 vanities, awesome walk in shower & large closet and new carpet. The 4th bedroom has half door that leads to floored attic, so much storage!!! The basement has 9ft ceilings. Roof is only about 8 years old, 1 layer. Wood Burning insert in family room fireplace. There is also a wood burning furnace that can be used as auxiliary heat for home. Directions:About half way between Danville and US 40 on Cartersburg Rd. Listing provided courtesy of Homes By Cheryl.